This is general waste from residential properties, which is usually placed within black bags. 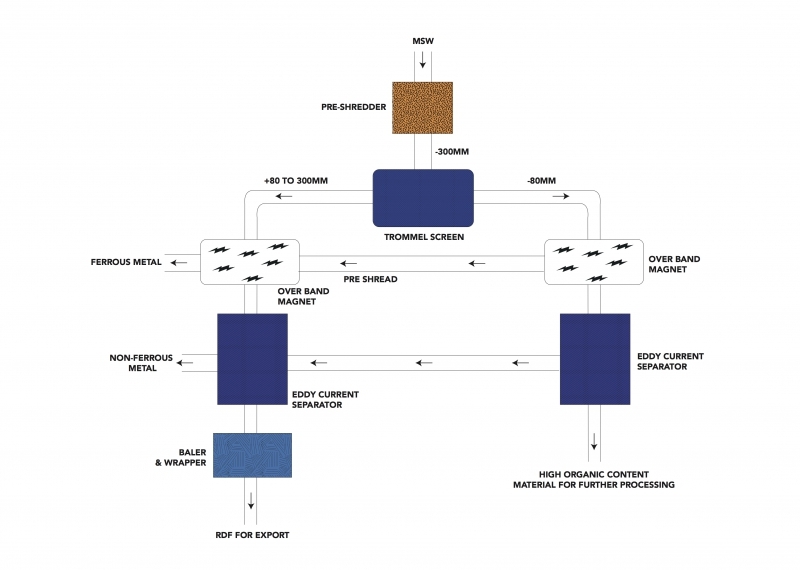 A BlueMAC plant can separate out the diverse range of materials that can be found within this waste stream allowing for a large percentage to be recycled and the remainder to be converted into RDF. One of the benefits of dealing with BlueMAC is that we can create the perfect solution for your business by combining BlueMAC equipment with the world’s leading machinery to support the process. These include Doppstadt shredders, Marathon balers and Westeria air density separators. BlueMAC Manufacturing is a sub-brand of Blue Group. Blue Group is a specialist provider of materials processing equipment for the quarrying and waste recycling industries in England, Scotland and Wales.